Founded in 2003, Design Observer inscribes its mission on its homepage: Writings about Design and Culture. Since our inception, the site has consistently embraced a broader, more interdisciplinary, and circumspect view of design's value in the world―one not limited by materialism, trends, or the slipperiness of style. Fifteen years, 6,700 articles, 900 authors, and nearly 30,000 comments later, this book is a combination primer, celebration, survey, and salute to a certain moment in online culture. 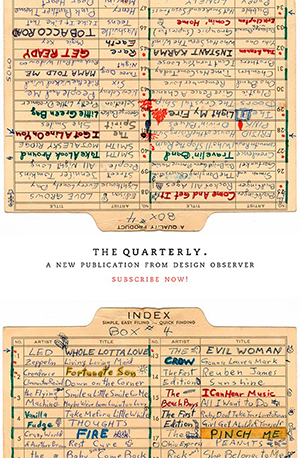 In the winter of 2015, we launched a new publication called Observer Quarterly. The idea is for each themed issue to include original writing, interviews, and photography alongside archival material that draws a narrative between the history and current condition of new and underappreciated aspects of design culture. Our first issue—the Acoustic Issue—covered new ways of looking at sound as part of the design landscape. The second issue examined tagging as a social, cultural, and indexical practice. And our newest issue—following our conference, Taste, which took place in Los Angeles in the spring of 2016—looks at the multiple intersections between design and food. 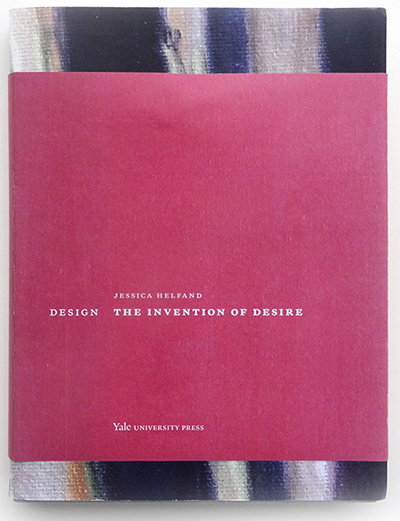 Advancing a conversation that is unfolding around the globe, Jessica Helfand offers an eye-opening look at how designed things make us feel as well as how—and why—they motivate our behavior. 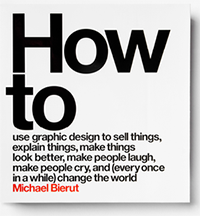 How to, Michael Bierut’s first career retrospective, is a landmark work in the field. Featuring more than thirty-five of his projects, it reveals his philosophy of graphic design—how to use it to sell things, explain things, make things look better, make people laugh, make people cry, and (every once in a while) change the world. Specially chosen to illustrate the breadth and reach of graphic design today, each entry demonstrates Bierut’s eclectic approach. 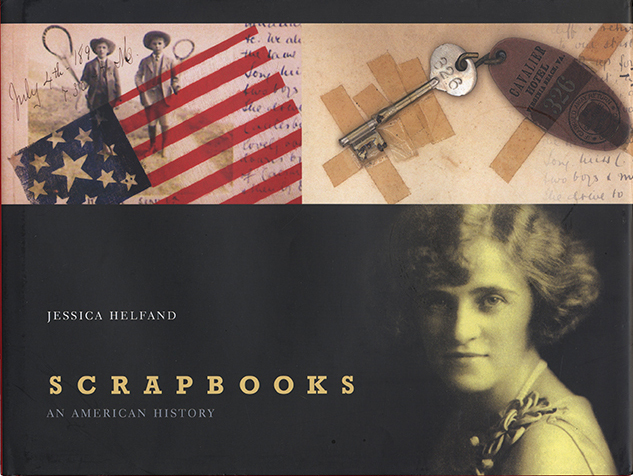 In his entertaining voice, the artist walks us through each from start to finish, mixing historic images, preliminary drawings (including full-size reproductions of the notebooks he has maintained for more than thirty-five years), working models and rejected alternatives, as well as the finished work. 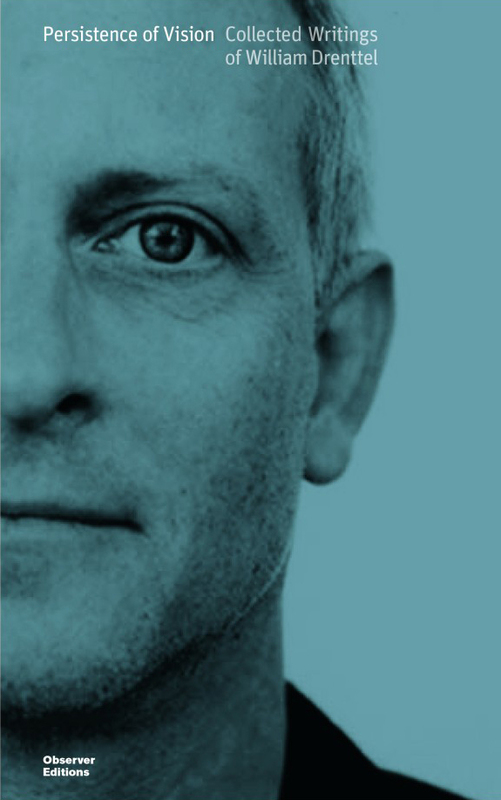 Throughout, he provides insights into the creative process, his working life, his relationship with clients, and the struggles that any design professional faces in bringing innovative ideas to the world. Offering insight and inspiration for artists, designers, students, and anyone interested in how words, images, and ideas can be put together, How to provides insight to the design process of one of this century’s most renowned creative minds. The ultimate “book of books” to catalog the 2015 winners of the 50 | 50 competition. 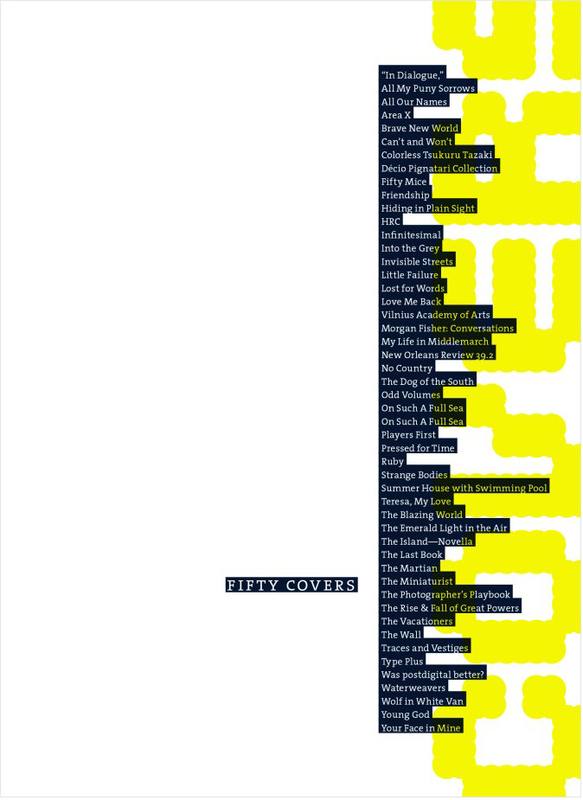 Publisher, author, and previous 50 Books | 50 Covers recipient Dave Eggers introduces the book. Photographer George Baier IV, who has photographed countless authors and book jacket projects himself, has thoughtfully taken pictures of every book and cover winner. Mohawk generously donated the finest paper. Printed offset, locally, here in the United States. Copies no longer available. Massimo Vignelli (1931–2014) was one of the most influential designers of the twentieth—and twenty-first—centuries. 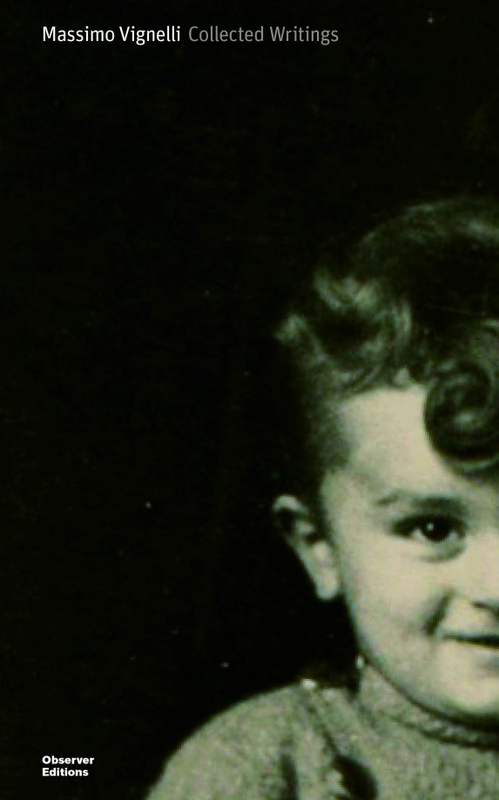 The work he and his wife Lella accomplished at Vignelli Associates is universally admired. While Massimo himself never wrote for Design Observer, he appeared throughout its pages in spirit and as an example for over ten years. 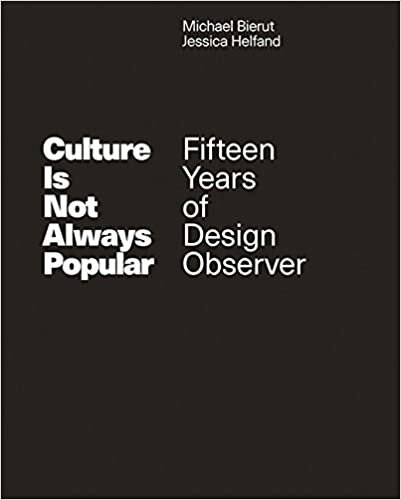 This collection of writings about Vignelli from the Design Observer archives—interviews, memories, observations, and critiques—includes selections from the lively comments and discussions that appeared after the original publication of these pieces. 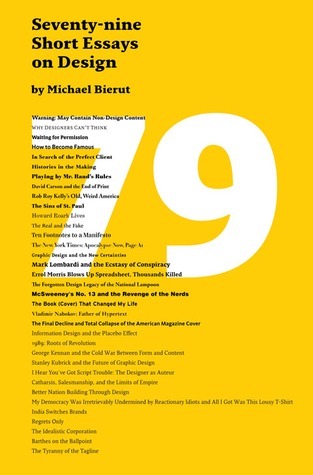 Contributors include Michael Bierut, Jessica Helfand, Debbie Millman, and Alice Twemlow, among others. Get this book! 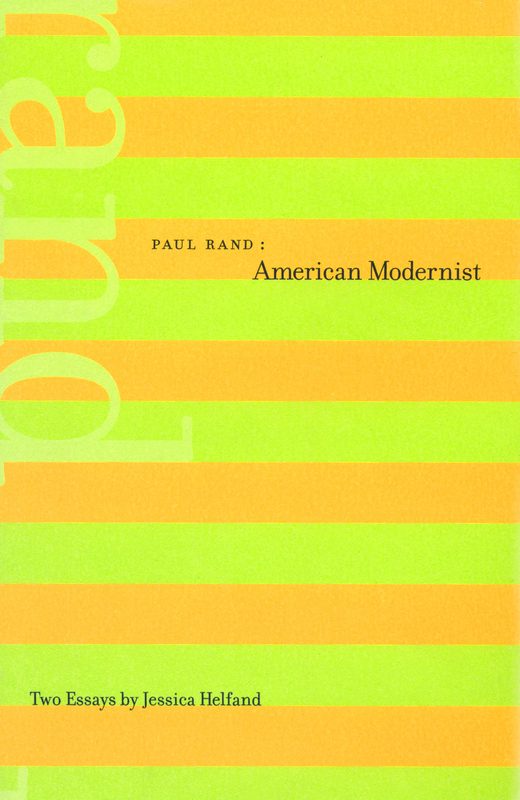 Designer and publisherWilliam Drenttel (1953–2013) was co-founder and editorial director of Design Observer. Since its inception in 2003, Drenttel contributed to Design Observer almost weekly on all manner of topics, from social change to democracy to his early career on Madison Avenue. We’ve collected two dozen essays—originally published on Design Observer—and an introduction by friend and former literary editor of the New Republic, Leon Wieseltier, and put them into print for the first time, including the lively comments and conversations that followed their original publication. 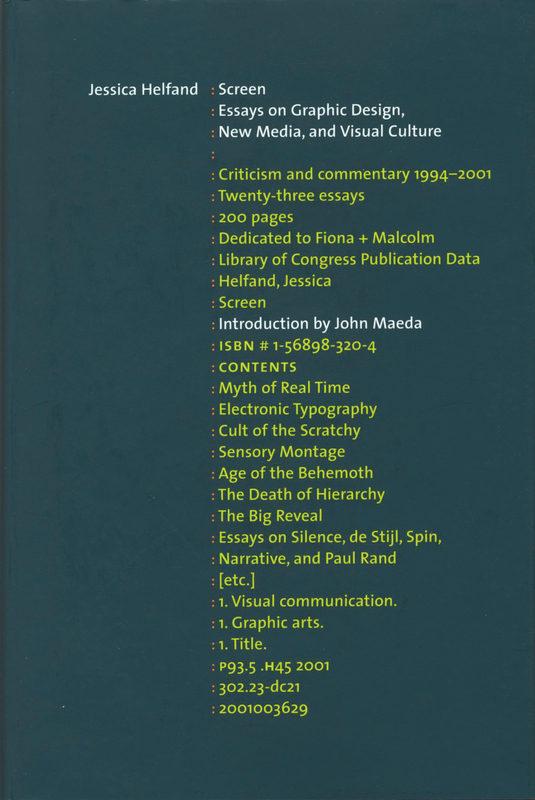 Persistence of Vision is not only a tribute to a greatly missed design leader, but serves as an important addition to the design writing canon. Get this book!